If you have rough credit history on your record that needs some credit repair work, I have some very good news. You aren’t doomed to a financial life of misery because of your past. And you don’t necessarily have to use a credit repair service to get this done. Much of this you can do on your own. While bad credit is very expensive, there are plenty of things you can do to clean up that history, bump up your score and start enjoying the benefits of having a strong credit profile. And you can get this done much faster than you might think. Important Note: The following is a step-by-step process to help you clean up your credit history. If you follow these steps you absolutely will be able to fix and clean up mistakes and errors. It does take time, patience and perseverance. You may elect to use credit repair agencies to help out but the good news is, you really don’t have to. As I said above, you can certainly do this yourself if you have the time or you can outsource the work to a reputable firm like Lexington Law (you can also call them for a free credit repair consultation at 1-800-293-3672). They are highly proficient, completely focused on credit repair and the industry leader with a stellar track record and professional standing. Also, many people find that it’s cheaper to use professional credit services than to do it themselves because of all the time and frustration it saves. Again, it’s not a requirement. Plenty of people work on credit improvement themselves. But outsourcing this task is an option you have and one that may be worth considering. You can’t solve a problem until you confront it. And when it comes to credit repair, the only way to fully comprehend your situation is to order your credit report, read through it and understand what you are looking at. 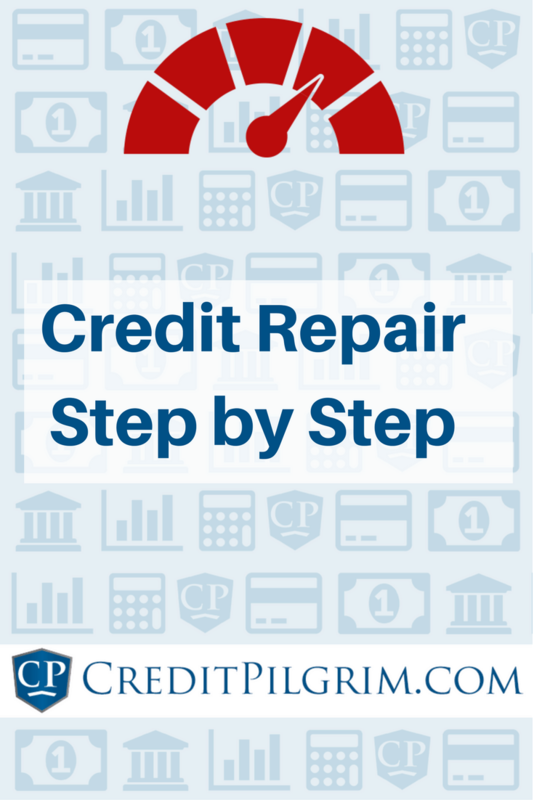 Once you take these steps, it’s relatively easy to design your own credit repair program. Fortunately this is easy and cost effective. You can get your credit report for free once a year from each of the three credit reporting agencies. You probably already know this. But what you may not know is that it’s smart to order all three at the same time. The reason is that not all credit bureaus have the same information. That’s because each creditor decides who they want to report to – if they report at all. That means one report could have errors, mistakes and problems that sink your credit score but those problems may not show up on the other two reports. And if you don’t check each of the reports, you may never be aware of issues that weigh your credit score down. In other words, you can’t work on credit score repair unless you know exactly where the problem is. TIP: The bureaus have to supply you with a free credit report annually as I noted. But if a someone denies you credit, insurance or a job based on a credit report, the bureau that supplied that information must also provide you with a free report on demand. The only caveat is that you must make your request within 60 days from the time you learned of the adverse decision by the vendor. Your credit report contains all your financial history – and I mean all of it. Since there is so much data involved, your report may contains errors. In fact, a recent study found that up to 20% of all reports do contain mistakes. That being the case, your first order of business is to read your report very carefully and identify those reporting blunders. Is your personal data accurate? Is your name spelled correctly? Is your date of birth right? Did you actually live in the places the report lists as your current and prior residences? Are all the accounts listed actually yours? Do credit cards show up on your report that really belong to someone else? Did someone take a mortgage or loan out under your name fraudulently? Is the listed activity accurate? For example, you might see a late payment listed on an account in error. Look carefully for those mistakes friend. If you find (and correct) these errors, it’s an easy way to restore credit scores. Are the account details correct? Are the credit limits right? Is the type of credit listed accurate? Is any information missing? For example, sometimes accounts you closed long ago are listed as open. That’s not something to let stand. Are the listed items supposed to be listed? The law states that most negative items have to come off your report after seven years. If your report contains stale data, demand that it be removed. TIP: Information about a past bankruptcy stays on your credit report for 10 years. Unpaid judgments can be reported for 7 years or until the statute of limitations is over (whichever is longer). Also, if you have a criminal conviction that stays in your credit file and it will never come off your report. The same holds true if you applied for life insurance or credit in excess of $150,000. That’s part of your permanent credit report. Even the best credit repair service can’t reverse these blemishes. Is the information complete? Under the Fair Credit Reporting Act negatives must be accurate and verifiable of course. But they also must be complete. In other words, even if an item is technically correct it must be removed if there are special circumstances that require the bureau to remove that problem data. For example, let’s say you didn’t pay a bill because you live alone and were in the hospital for 2 months. Did you pay the bill? No. But was there a good reason for the lapse? Absolutely. This is where you have to be relentless, stand your ground and keep fighting. And even if you do work with a company that does credit restoration services, it’s still up to you to make sure they take the fight to the credit agency. This is just a small smattering of the types of errors you might find on your credit report but you get the idea. Go through each of the three credit reports and highlight all the errors you find. Once you do that we’re ready to take the next step. TIP: All negative items must also be verifiable. If a company that reported negative information about you no longer exists because it was sold or went out of business, the bureau may not be able to verify it. If that’s the case, the negative has to be cleaned off your report. The same holds true about negative items that aren’t verified because the creditor just doesn’t feel like going to the trouble. If a blotch against your credit isn’t verified, you can assert your rights to have it taken off your credit history. Even credit report experts overlook this step sometimes. Make sure you (or your agent) doesn’t. If you find negative items or errors, assemble as much proof as you can to substantiate your claim. I realize that some mistakes are hard to prove. For example, if someone opened an account in your name fraudulently, it might be difficult to prove that you didn’t open the card. If that’s the case, don’t sweat it. Ultimately, the credit bureaus and creditors have the burden of proof. They must be able to corroborate that the information listed on your report is accurate, verifiable and complete as I said. If they can’t do that, the negative items must be removed from your credit report. Booyah. Write to both the credit bureau and the creditor (both are important). Tell them you dispute the item and include the evidence you assembled in the prior step. Be meticulous when it comes to putting your proof together. Without solid backup you’ll find it impossible to repair credit. Many people contact the credit bureau that reported the negative item and think their work is done. Nothing could be further from the truth. All the credit bureau has to do is get the creditor to say that the debt is accurate. If they get that far, they’ve complied with the law and they don’t have to do anything further. That’s why you also need to go to the creditor and demand that they also prove that the negative item is accurate and verifiable. You have legal rights that protect you from credit bureaus, creditors and credit collectors. That includes your right to obtain all the proof the other party has about these negative items, your right to be treated fairly and your right to be left alone and not pestered by credit collectors. But you may lose these rights if you don’t correspond in writing. The credit bureaus and most creditors have special addresses to send your inquiries. Use that address rather than the address listed for payments. And while you are at it, send the letter overnight or with a “return receipt” so they can’t claim they never received your correspondence. Along with your letter, make sure you include copies of all the proof you can to support your allegation that the reported item is wrong. Make sure to highlight the items in question and send in the credit report itself. Obviously you should keep the originals of everything you send for your own records. In your cover letter, tell the bureau which entries you dispute and why. End the letter by telling the bureau and the creditor what you want them to do; correct the error immediately. TIP: While you are in process with the credit bureaus and your creditors, don’t use templates you download from the internet. That won’t help you fix credit. These organizations get tens of thousands of letters each day and they won’t give your complaint nearly the same attention they would if you write a personalized letter. The bureaus have to look into your dispute within 30 days. The only exception is if they think you’re making a frivolous dispute. If that’s the case, they’ll blow you out of the water and you’ll have to start all over again. Whaaa? As part of their investigation, the bureau will send a copy of your dispute to the creditor who reported the negative item. Then the vendor has to look into your matter as well and report back to the credit bureau with their findings. As I said, you still need to contact the creditor in parallel if you want to show each of these parties that you mean business and you are ready to fight for justice. If the creditor admits that the data is flawed, they have to inform the bureau and the bureau has to correct your report. Either way, the bureau must send you a letter with the results and a new copy of your credit report if there is a change as a result of the investigation. TIP: Keep an eye on your report. And don’t get complacent if you win your case. If the vendor later proves the information is indeed accurate, verifiable and complete, they can re-report the negative item and it will show up again on your credit file. Credit Repair Step #6: What Happens If The Bureau Or Creditor Agree With Your Claim? If the results do go your way, the bureau will notify any party who reviewed your report within the last six months of the correction as long as you ask them to do so. You can also ask them to send notification of the correction to any prospective employer who looked over your credit history over the last 2 years. Even if the results don’t turn out as you’d like, the bureau has to make a note in your file that you dispute the item and that note must be included in any future credit reports. They must also send a notice of your dispute to anyone who reviewed your history in the recent past. Again, they won’t do either of these two things unless you ask in writing. You may have to pay a little for this but it could be worth it. Exercise your rights Pilgrim! Credit bureaus make lots of mistakes and they clean up many of them if you bring it to their attention in the correct way. But they don’t acquiesce to every request. That’s why sometimes it makes sense to consider working with credit repair companies. As I said above, if the credit bureau thinks you’re making a frivolous complaint, they’ll shut you down without even looking into the matter. If there is a negative item on your report that is accurate and verifiable they won’t budge either. But that doesn’t mean your case is lost. Sometimes the extra weight of having one of the top credit repair companies working with you can make the difference. This doesn’t mean that you have to spend an arm and a leg to get credit repair help. In fact the most legitimate credit repair companies often offer the most affordable credit repair. But there is a great deal of funny business in the credit repair services industry. My research indicates that if you need the best credit help you should work with a credit repair specialist who is preferably also either an attorney or associates with a law firm. There is something about getting a letter from a lawyer that makes creditors and credit agencies sit up and take notice. I think this is very important because a low-level credit repair agency might even make your problem worse while a top credit repair company could turn your nightmares into very sweet dreams in short order. If they can make a valid claim that the charge doesn’t tell the whole story and is incomplete, they might have a shot at getting it removed as I said above. These are the cases when having an expert at your side might really make the difference. And if all else fails, you have Father Time to lean on. Remember, most negative items have to come off your report within 7 years. You may just have to wait it out. Credit restoration (like all good things) come to those who wait. TIP: Older credit history has less impact on your score than recent financial activity. That means if you practice good credit behavior now, you still may be able to make up for those prior blemishes. This process takes a little longer than credit repair, but with the proper activity, you can absolutely revitalize your credit picture pretty quickly. Credit repair is not brain surgery. But if you are looking for fast credit repair, you’ll have to learn patience. You can either do this yourself or hire a top credit repair company. But if anyone tells you credit fixing can happen fast, they are not to be taken seriously. It takes time. There is a process and if you follow it, know your rights and exercise them, you can get impressive results. If you don’t have the time to do all this yourself, there are a few reputable firms that can help you. If I had to fix my credit, I’d outsource this immediately to the best credit repair company I could find. But regardless of how you approach your credit history improvement plan, I encourage you to go for it. What have you got to lose? 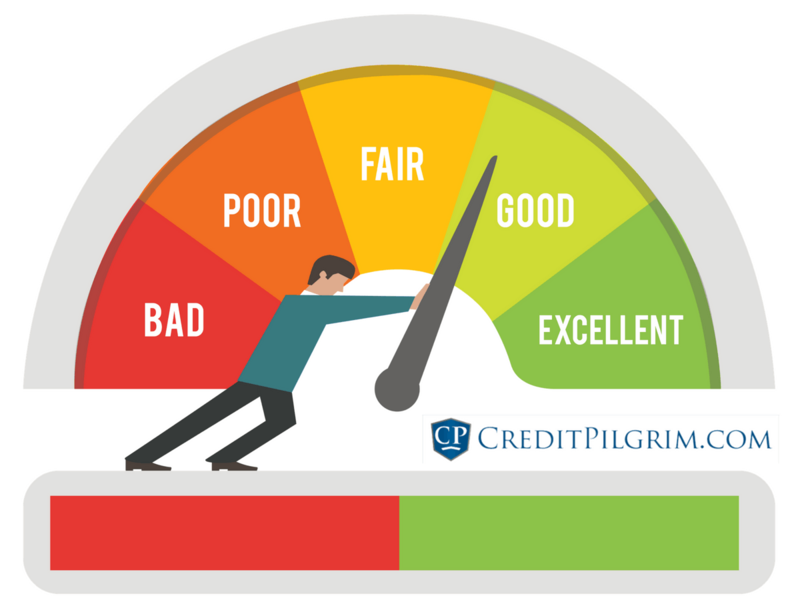 CreditPilgrim.com has helped tens of thousands of readers solve their credit problems by first understanding how the credit industry works and then empowering them to take back control over their credit life. Mastering these lessons early can make the difference between financial freedom and debt servitude for decades. That’s why understanding these concepts is so important while you are still in college. For that reason, we encourage you to apply for the “CreditPilgrim.com Credit Repair Scholarship Program”. Getting through college can be expensive. Many students graduate not only with a bachelors degree, but also with so much debt that it’s bigger than many other people’s mortgages. Of course, sometimes students have no choice but to finance their education with loans. But even if they do, they don’t have to trash their credit scores and credit history as a result. Write an essay with no less than 1,200 words explaining why students need to pay attention to their credit score, what aspects of students’ financial future will be at risk with bad credit scores and what they can do in order to repair their credit in case they have low scores. Sign the scholarship rules document and send it with your essay. We encourage you to apply if you are a current full-time student at any accredited US university or college and have a cumulative GPA of 2.5 or higher working towards at least your Bachelors Degree. You must be currently enrolled and attending school to apply. The award will be sent directly to the financial aid office of the student who wins the scholarship. The CreditPilgrim.com Scholarship is $1,000. You may only win this scholarship one time. The CreditPilgrim.com scholarship committee will review every complete application. The CreditPilgrim scholarship program committee will select one winner for the $1000 scholarship. The scholarship will be awarded in the form of a check made out to the financial aid office of the winner’s university or college.